Published: July 17, 2012, 7:33 a.m., Last updated: July 17, 2012, 7:54 a.m. The Medicines Control Council needs a new chairperson and a new registrar. Peter Eagles (the chair) and Mandisa Hela (the registrar) need to go. This article first appeared in Business Day on 12 July. The Business Day sub-editors introduced an error, stating that Thabo Mbeki was president in 1997 (he was deputy-president). This version is the original I submitted to Business Day. 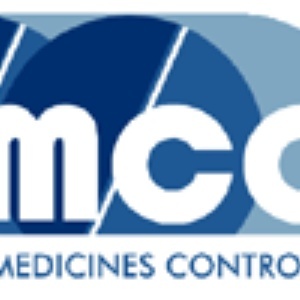 Until 1997 the Medicines Control Council (MCC) was an efficient and effective institution. It was recognised internationally for its excellence. When AZT, the first antiretroviral (ARV), was submitted for approval, the MCC recognised its potential life-saving value and registered it in just a few weeks. Then in 1997 the chairperson, Peter Folb, stood firm against Thabo Mbeki's desire to have a toxic solvent called Virodene tested on AIDS patients. So Folb was dismissed. In March 1998, the registrar of medicines --the departmental official responsible for the day-to-day running of the MCC--, Johan Schlebusch and his deputy, Christel Brückner, were locked out of their offices because they too opposed the testing of Virodene. The Labour Court later found that they had been constructively dismissed. This marked the beginning of the end of the MCC as a well-functioning, independent institution. The purge of its leaders was not motivated by them having served under the old regime and being relics of apartheid -- on the contrary, Folb had been an active member of the UDF. They were purged because they had dared to stand up to Mbeki on a matter he should not have interfered in. Consequently, the MCC lost much of its institutional memory. Successive chairpersons and registrars have been unable to rescue it. The media has recently reported how a South African owned clinical research organisation called QdotPharma has closed down because, its owners said, of delays in its project approvals by the MCC. I am sceptical of industry claims, but if true, this is only the latest incident and far from the worst involving the MCC during the last 15 years. The MCC's purpose is to regulate the use of medicines based on their safety, efficacy and quality. All the MCC's actions must be guided only by what is in the public interest. It must act independently of government and industry. It regularly failed to do this during the Mbeki era. In 2002, the MCC, by its conduct, effectively supported Health Minister Manto Tshabalala-Msimang's efforts to block access to ARVs for HIV-positive pregnant women to reduce the risk of them passing the virus to their babies. During the Treatment Action Campaign (TAC) court case to compel the Minister of Health to implement such a programme, the MCC's chairperson, Peter Eagles, said in a media interview that nevirapine, the drug at the centre of the case, had not been tested in Africa, obliquely justifying the failure to provide it. Yet the main nevirapine trials for mother-to-child transmission prevention had been conducted in Uganda and South Africa. Then shortly after the TAC's successful litigation, the MCC announced that it would review its decision to register nevirapine for mother-to-child transmission, a decision compounded in absurdity by a 2003 decision to indeed remove this indication from the nevirapine registration. For several years, the MCC delayed an important trial by University of Kwazulu-Natal researchers to see if nevirapine could prevent breastfeeding mothers from infecting their children. After losing the trial documentation, ignoring the decision of one of its own expert subcommittees and precipitating endless litigation, the MCC was finally ordered by a court to allow the trial to continue. The delays appear to have been driven by an AIDS denialist member of the council. Throughout this debacle, Peter Eagles' leadership was lacking. The MCC has allowed quackery to flourish. Its resoluteness to block the nevirapine trial was matched by its complete disinterest in the notorious charlatan Matthias Rath who from 2004 to 2008 purported that antiretrovirals were toxic and, without MCC approval, advertised that people with HIV should take his vitamins instead. Eventually the Cape High Court put a stop to an unauthorised clinical trial Rath was running, in a case in which the MCC was a respondent along with Rath. The South African market has become flooded with bogus remedies. This is certainly not entirely the fault of the MCC. Manto Tshabalala-Msimang must take the lion's share of the blame for this, but the MCC has not improved the situation. I often receive complaints of the MCC's failure to respond to requests and messages. The MCC's reputation for tardiness is legendary. A backlog of thousands of medicines is awaiting the MCC's consideration. An example of the MCC's tortoise approach is the essential antiretroviral, tenofovir. It was approved by the US Food and Drug Administration in 2001. Only after much public criticism and TAC demonstrations did the MCC register it - in 2007! Drug companies and clinical trial researchers often unfairly blame delays on the MCC to deflect their own shortcomings. But the MCC has become so dysfunctional that you have to conclude that many of these complaints must be legitimate. The MCC's inability to convey useful information to the public is another problem. Their website is poor. Go to it and click on Latest Documents. There are none. It is unacceptable that in 2012 no publicly accessible database of approved medicines and their package inserts yet exists. Finding out if a particular medicine has been approved, and for what purpose, is very difficult. These stories are just a smattering of the failures of the MCC. They are all in the public domain. There are many more, some not yet on record, of sustained poor leadership. New legislation, not yet in force, provides for a new regulatory authority to replace the MCC. Even with visionary leadership and excellent management, this transition will be hard to carry out successfully. Without it, there's no chance. It is time for new committed people to lead the MCC.